First Ladies Productions has always combined freelance film making with teaching film-making to others. Here are some examples of the projects that Colleen has initiated and been involved in. Please contact First Ladies if you, or your group, would like mentoring or training. First Ladies partners with organisations, agencies, councils, individuals and government departments to create engaging digital content. In her role as ABC Open Producer in South West Victoria (2010-2013), Colleen has coordinated many digital media projects and delivered countless workshops in her local community. She has worked with primary schools, secondary schools, TAFE, community groups, senior citizens, people with disabilities and the indigenous community. She adapts her workshops to suit the ability levels and experience of workshop participants. The stories produced by her community as part of ABC Open projects have been distributed far and wide on all ABC platforms: web, radio and TV. Colleen has run workshops in film production, sound production, photography, writing/blogging, social media, digital story telling and creating media using new technology (such as smart phones and iPads). Read more. 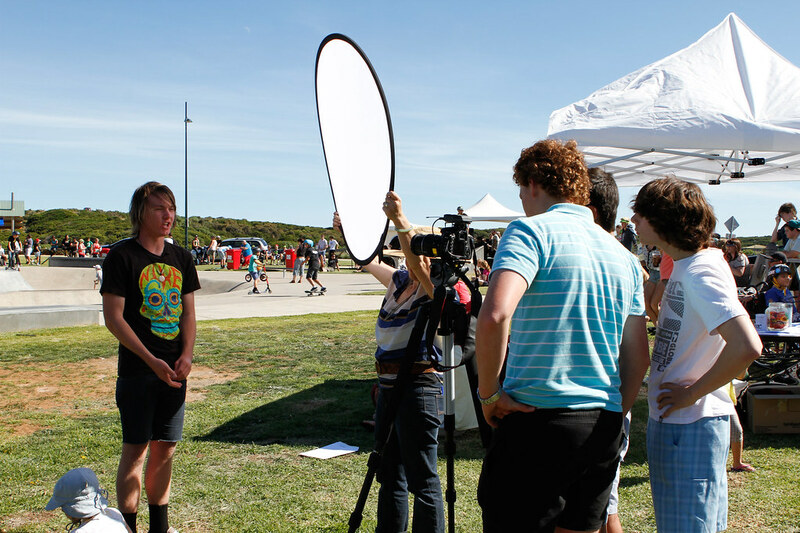 Before her time at ABC Open, Colleen worked in Melbourne in the Bayside area as a Secondary School Teacher and as a project coordinator of the Bayside Film Festival Youth Documentary Program. In this position, she developed, coordinated and facilitated a series of documentary filmmaking and digital storytelling workshops to schools and community youth groups. The outcome of the project was public screenings of the films at the Palace Cinema, Brighton in 2006 and 2007 and circulated DVDs of the films.